Ever since we first released our mobile apps, accepting credit card payments has been the single most requested feature by a mile. And now it's here. If you have version 3.4 or greater of the app, and you have enabled online credit card payment (powered by Stripe) inside the web application, you're all set. Ready to give it a try? 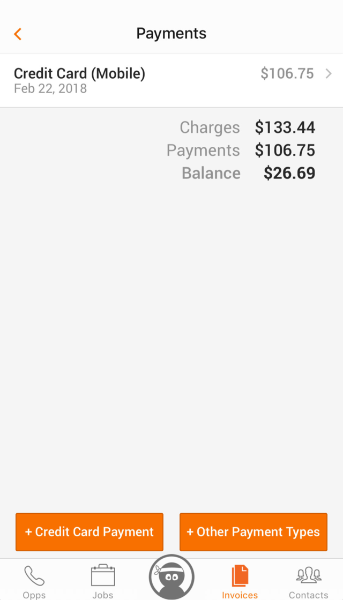 Here's how to accept a payment right from your mobile app. On the Payments section of any unpaid invoice, you'll see a new "Credit Card Payment" button. Tap on it and enter details, just like any other payment. Tap Scan Credit Card. 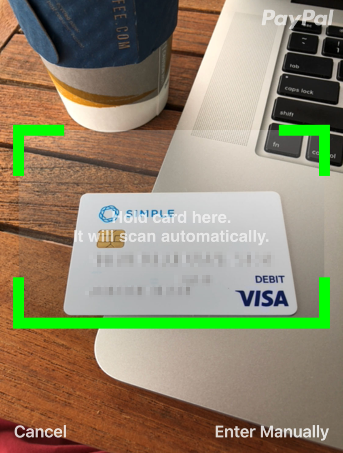 No special hardware needed--the app securely uses your device's camera to scan the card and submit the payment. 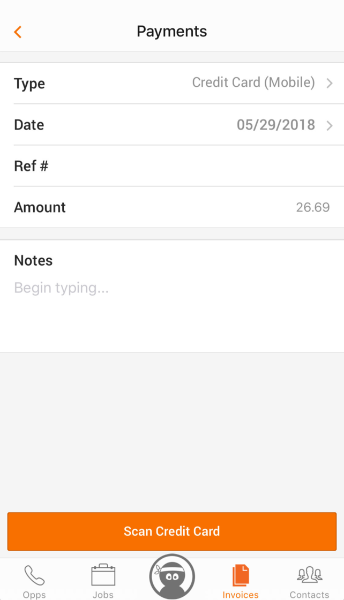 Other payment types can still be recorded by tapping the "Other Payment Types" button on the payments screen. This one was a long time in coming. We hope it helps you finally get rid of that glovebox full of checks you've been having to carry around.